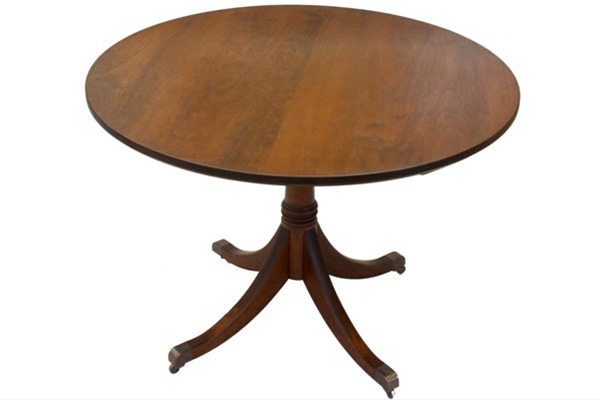 Small, stained cherry pedestal dining table, 42” round and 29.5” high with brass casters. A classic Sheraton form. Other sizes and woods available.